I am a professional, fun, young, enthusiastic, fully Enhanced DBS checked Music Tutor and working industry musician who teaches Guitar, Violin, and Audio Production + Mixing. In 2015 I graduated with a 1st class Degree (and highest class marks!) in Creative Music Technology from the University of Surrey, with the University's Music Dept. currently ranked as No.1 in the UK by the Guardian. I have consistently achieved the highest tiered marks in performance exams, having attained ABRSM Grade 6, 7 and 8 Distinction upon the Violin and straight 1st Class marks in all Guitar performance exams at University. In additional to teaching, I work professionally around London in my Alt-Electro Pop band STITCH, where we write and perform regularly, as well as create official remixes under MWR for record labels. I also have an extensive classical background in music having been a 1st violinist in the Nottingham Philharmonic Orchestra, co-led the University of Surrey Orchestra, led the Southwell Minster School Orchestra and am a current member of the Southwell Choral Society Session Orchestra. For 8 years I have privately taught a varied syllabus (Rock School, ABRSM and individually tailored ‘casual’ learning) on both the Guitar and Violin to students whom have varied in age (5-50+), previous musical education and experience (beginner to advanced) and disability. 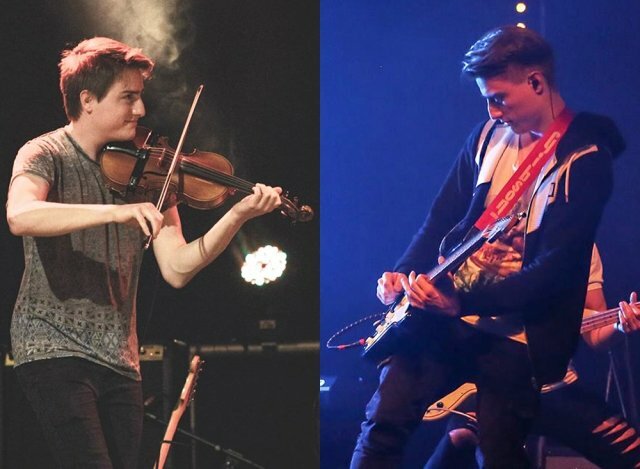 I have also recently accepted the role of part-time Music Tutor (Guitar and Violin), at the Alec Reed Academy in West London. I have also been taught extensive presentation and communication skills at University that further help me communicate effectively to students. Playing music and learning an instrument should be fun, engaging and inspirational! My goal is to enthuse every one of my students so that they are impassioned and performing at the peak of their ability. No two students are the same! Therefore I teach in a manner that is tailored and adapted to each individual to ensure they achieve success. Anything you want to learn, be this grades, how to write and producer your own songs, playing for fun, or even to improve your self-confidence, I will teach with complete enthusiasm and competence! I want to share the magnificence of music with you! I remain in contact outside of formal lesson times giving full support via telephone, text, email, Dropbox etc. to provide feedback, assistance and encouragement at no extra charge. KyeFrom Greg (5/5): I was taught by Kye for over a year, and he was a consistently excellent tutor - friendly, supportive, and highly knowledgable. I was a complete beginner when I started, but thanks to Kye's excellent guidance I have now advanced to a Grade 2 level and I am looking to develop further. Highly recommended! KyeFrom Szilvia (5/5): Very responsible, cheerful and deals easily and skilfully with my sons and most importantly makes them learn and makes it fun for them! I’m very pleased! KyeFrom Nadia (5/5): Great tutor. Very knowledgable. Patient, passionate about music and helpful. Definitely recommend.